Zipper pouch measures 7.5" x 9". 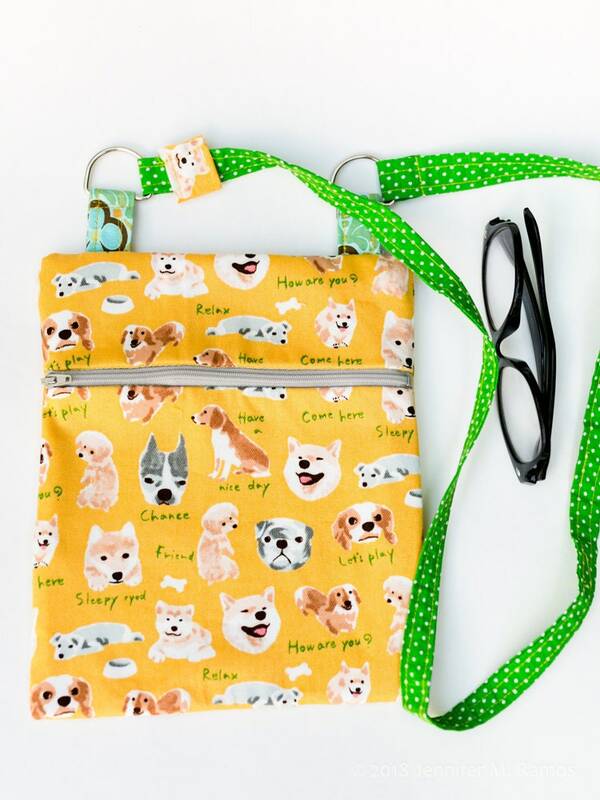 The bag is made of Japanese fabric which features cute dogs and little sayings like, "How are you?" and "Relax." The zipper pouch is lined with cotton fabric. The strap is green with white dots. The pouch-type purse or bag is designed to be work messenger-style, or cross-body. Its drop-length is 18". It will hold all your essentials.